What supers do when they’re off the clock. The next Pen & Cape Society anthology comes out on May 1, 2018. Our first anthology’s theme was about heroes, the second about villains, and the third about sidekicks. The fourth anthology is about what heroes do when the world isn’t in danger (at least so far as they know). We’ve written stories about their off hours. You can preorder the new anthology at Amazon and Smashwords so far, but you’ll be able to find it wherever you find ebooks soon. The Pen and Cape Society is at work on another anthology. Here’s a small version of the cover (front and back) without the words. Cover by PCS member Scott Story. Hey, Everyone! I’m really excited about the cover for the fourth book in my series, so I wanted to share it with you here. And since I’ve had such a crazy year, this book is now already available for sale on Amazon, here. Just in time for last minute holiday shopping, Curiosity Quills is putting most of their catalogue on a 99¢ to $1.99 sale. All three of the Menopausal Superhero novels (and a set of short stories) by Pen and Cape Society member Samantha Bryant are included in the sale, so here’s your chance to find a new set of superhero characters to love for less than the price of a fancy schmancy coffee drink. Just here to report on the experience I had in recording an interview with the Author’s Show. This is a group who records fifteen-minute interviews with authors where you can speak about your book and explain why people might want to read it. These are scheduled on their website and featured for a full day, so you can publicize it in advance to your readers, and the Author’s Show will also publicize it to their followers. The process is free for any author who wishes to apply. If you are selected to be interviewed, you will be e-mailed questions ahead of time for you to submit answers for, in order for the interviewer to get a sense of you and your work. You will also be asked to submit ten to fifteen questions of your own devising, to help tailor your interview to your desired audience. As far as the interview itself, it needs to be conducted over a landline or via Skype. The interview takes about half an hour to an hour, and the interviewer steps you through the process beforehand so you know exactly what to expect. Make sure to talk in a clear, loud, cheery voice for best results, and be prepared to explain what makes your story stand out and why someone would want to read it. I felt a little nervous beforehand, but ended up enjoying the interview a lot. After the raw interview, the group edits out mistakes, noise, etc. which takes a couple of weeks. My interview is scheduled to run on November 16th; each interview will be up as of midnight that night and will be available to hear all day. To access it, simply go to the Author’s Show website and click on the link for Palladian, Super: Exile. The interview we did turned out really well, I thought, so it should give you a good idea of how one of your own might sound. Enjoy! The National Novel Writing Month (NaNoWriMo) starts in just over a week, November 1st, and this year’s theme is superpowers. I think this is a topic the Pen and Cape Society knows something about. If you are up to the challenge of writing 50,000 new words of fiction in the month of November – visit NaNoWriMo.org, setup your author profile, and announce your novel. You can find other local authors and a list of events in your area including writing clinics, charity events, and parties. We already have a few PCS authors interested. I know many authors that have attempted NaNoWriMo, but this is the first year I have tossed my hat in the ring. If you need a writing buddy for NaNoWriMo, you are welcome to add me (Jeffrey Allen). I’ll be happy to add you in return. My novel, A Dragon of Black Forest, has already been announced and ready to go. Once the clock shows midnight on November 1st, I’m off to the races. An anthology about the underestimated. Hmmn… That’s not good enough. This needs more emotion than simply passing on the date. What PCS needs is a promoter like Stan Lee. Unfortunately, Stan Lee is booked at the moment. Also, I’m pretty sure he’s retired, and has no idea we exist. The Pen and Cape Society’s third, amazing, all encompassing, all powerful anthology The Good Fight: Sidekicks arrives on March 21! 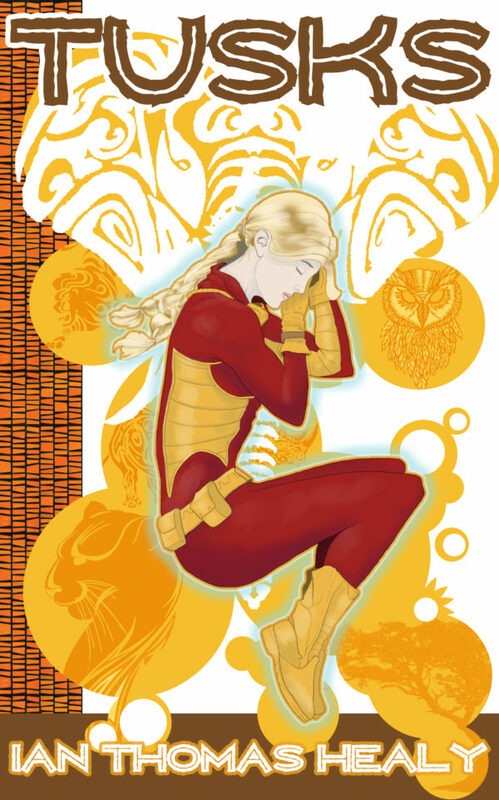 In it are stories that delve deeply into the past and the future of the most underestimated of superhumans–sidekicks. Written by the best writers who wanted to participate, Sidekicks is available for preorder right now! Also, buying it will bring world peace and everyone will get a puppy! Actually, ignore that last sentence. I was overpromising a little. What is true though, is that we’ve written some good stories for the anthology. Please buy a copy, and tell your friends. As I further contemplate the turning of the screw that is achieving a half century of life, I find myself wanting to give away my earthly possessions–well, some of them anyway; definitely not the ones I use daily, like my car or any of my flatscreens or personal electronics–so I figure it’s a fine time to keep it rolling with a digital giveaway of the HandCannon origin story, The Devil’s Right Hand. So let your keyboarding fingers do the walking over to Amazon where, from now until February 19th, you can get yourself familiar with the life and times of Duke “HandCannon” LaRue. I’m here to make public the cover and announce the release of the third anthology of the Pen & Cape Society. The Good Fight: Sidekicks will probably come out in March. The exact date remains to be seen. An anthology Of superpowered fiction. Full disclosure: I’m about to have one of those milestone birthdays this month, where I find myself a lot older than the younger version of me ever thought I’d live to be. So in honor of that, I guess, I’m offering a couple of my books free this month over on Amazon, beginning with the one that started it all, The Villain’s Sidekick. For the next five days, grab it and run and get the skinny on Duke “HandCannon” LaRue, the semi-lovable henchmen with a machine gun arm, an iron jaw, a steel-plated skull, a lethal boss, an irritable ex-wife, a precocious six-year-old daughter, and a heart of pyrite. It’s short enough to finish in three to five bathroom sittings and there’s plenty more where that came from (including an upcoming prequel story in the third Good Fight anthology and the origin tale, The Devil’s Right Hand, which will be available free next week). That’s right, the Coney Champion, the Lapin Lodestar, the Cottontailed Challenger, and the Bunny-eared Braveheart is back in this all-new tale of thrills, chills, spills, and romance! Okay, so maybe it’s not really any of those things, but it is Jackrabbit’s first sequel, which makes it a momentous occasion nonetheless. OH, JAPAN . . .
All Jackrabbit, Herald of the Rabbit God Leporidus, wanted to do was give his best friend Bunny a nice pre-wedding gift in the form of a trip to Japan. Naturally, Bunny is kidnapped by ninjas shortly after their arrival, forcing Jackrabbit to play superhero, detective, martial artist, video game enthusiast, street preacher, and more in his quest to rescue his friend. Along the way, he’ll need help from Frog God Herald Kaeru no Uta, talking chimpanzee Chimp Braddock, the Bareknucks Brawler, a Buddhist monk teleporter, and a whole lot of charm and luck. All the while, he’s in a country where he doesn’t speak the language, doesn’t know the customs, but he knows one thing is sure . . .
Jackrabbit goes on sale everywhere on February 28. Preorder it for only $3.99 on Amazon here and on Smashwords here, with other retailers soon to follow. Note: If you attend GalaxyFest in Colorado Springs, Colorado February 24-26, we will have print copies available for sale. In a publishing world where we authors of a certain stripe are frequently told that there’s just no market for superheroic prose, it’s both heartening and frustrating when a work like this one manages to wend its way through the traditional distribution channels. Heartening because, like Soon I Will Be Invincible or The Violent Century, it’s another testament to the fact that using a superpowered comic book backdrop is not only resonant to audiences well-versed in these tropes, it’s actually marketable! Frustrating because, well, most of us who write this kind of stuff would love to be in Manuel Gonzalez’ shoes, receiving legit literary attention for our exercises in subgenre. Hell, Gonzalez already has a movie deal, with Ruben Fleischer of Zombieland renown signed on to helm a bigscreen version. Personal bitterness aside, though, I have to admit this one hit me in my sweet spot. Whatever its merits as capital L Literature, it’s a rollicking ride that’s equal parts thrilling, grim and hilarious. It contains homages to and elements of everything from Die Hard to Minority Report to Buffy the Vampire Slayer to Agents of S.H.I.E.L.D., as well as sharp, glancing references to the many science fictional, magickal and fantastical devices familiar to comics readers from the Silver Age through the Dark Age and right up to whatever Age we’re in currently. If the title isn’t a dead giveaway, Gonzalez’ novel concerns itself with the events surrounding an all-out assault on the headquarters of a mysterious organization dedicated to combatting the Dark Forces that are Amassing to Threaten our World. But the shadowy Regional Office is not a top secret governmental branch or an ancient order that’s been operating since the dawn of time; rather it’s a privately funded operation fronting as a high-end travel agency, and founded by a couple of lifelong friends–Mr. Niles and his superpowered crush object Oyemi–involving future-predicting Oracles and a vast network of mainly gorgeous badass female assassins, recruited–and sometimes abducted–from trailer parks, shopping malls, and high schools all over the country. Bouncing between past and present, and far-flung locations from Texas to New York to a neighboring dimension, we learn the story of a couple of such recruits: Rose, a smalltown girl with a go-nowhere life and an inherent knack for mayhem; and Sarah, a fairly ordinary if high-strung woman with a tragic backstory and a mechanical arm. Their destinies are set on a collision course when a couple of disgruntled Regional Office employees decide to repay disappointment and betrayal with the titular attack. Whether you’re into the superpowered subgenre or not, The Regional Office is just a really fun, page-turning read that doesn’t take itself too seriously, brimming with a drily sarcastic millennial wit that offsets the sometimes shocking moments of intrigue, danger and violence. But neither is it a constantly campy jokefest or all satire and no substance. Gonzalez gives us just enough, at least with a few of his characters, to raise the stakes and shape them into human beings to be fascinated with (if never to quite root for). Many things are sketched in or unexplained–i.e., we never learn why the Office recruits only women to their cause–and in a few cases that’s frustrating (we never discover one character’s actual fate, despite a few suggestive hints), and I can’t help wonder if Gonzalez wanted to leave things open-ended enough for a sequel or three. But the narrative filigree he uses to sketch out his world is right in my wheelhouse–warlocks in Kansas, interdimensional field ops, nanotech with a mind of its own. In my own superhero prose, I take great pleasure in dropping those kinds of high concept notions into casual conversation or interior monologue, the suggestion of a wider, wilder world often more tantalizing than a fully committed plunge into all of its depths. Gonzalez is a terrifically entertaining writer, his one notable weakness for me an over-reliance on a singular snark-drenched voice; whether he’s in Rose’s head or Sarah’s, crafting long passages of a fictitious academic research paper on the attack and its aftermath, or putting us in the heads of hapless hostages during the siege, the point of view and offhandedly chatty tone remain almost too consistent. But despite these quibbles and a couple of narrative dead ends and unrealized ideas, The Regional Office is Under Attack! passes this reader’s ultimate litmus test: I kinda wish I’d written it myself. Here at Local Hero Press, we are always striving to move forward. Some years, like 2015, we release a tremendous amount of new material. In 2016, we didn’t release nearly as much, but we’d like to think it was a successful year nonetheless. Let’s look at some of the high points. 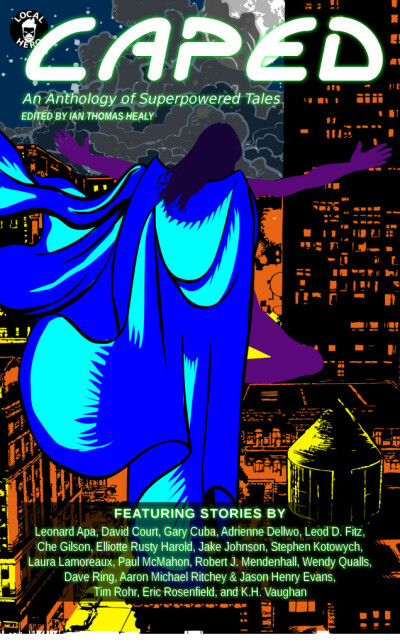 A story we published in our 2015 anthology Caped was nominated for an Aurora Award. Although Stephen Kotowych’s “Super Frenemies” did not win, we still think it’s a great tale. We released two new books in the ever-expanding Just Cause Universe: Tusks is the middle book of the “New York Trilogy,” telling the story of Mustang Sally in her role as commander of Just Cause New York. 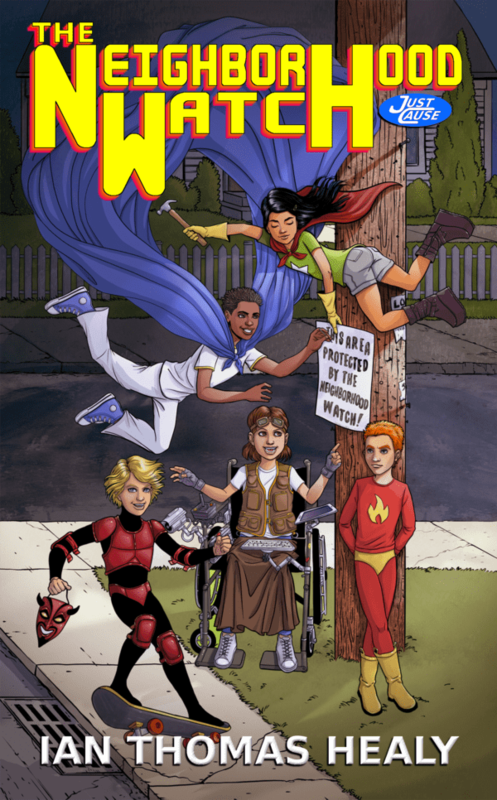 The Neighborhood Watch is our first middle-grade novel featuring characters destined to become the next generation of superheroes. The Neighborhood Watch has been one of our strongest releases to date. It’s clear the world is hungry for more stories about these young heroes. We’re going to oblige, and planning is already underway for the next book about them. Local Hero Press attended several cons this year, all of which turned out extremely well for us. We returned to GalaxyFest, StarFest, MileHiCon, and the Fort Collins Comic Con, and attended Myths and Legends Con for the first time. Our intent is to attend all five of these cons next year, and quite possibly one or two more. We will also be doing more panels at upcoming cons, so be sure to watch for those as well. 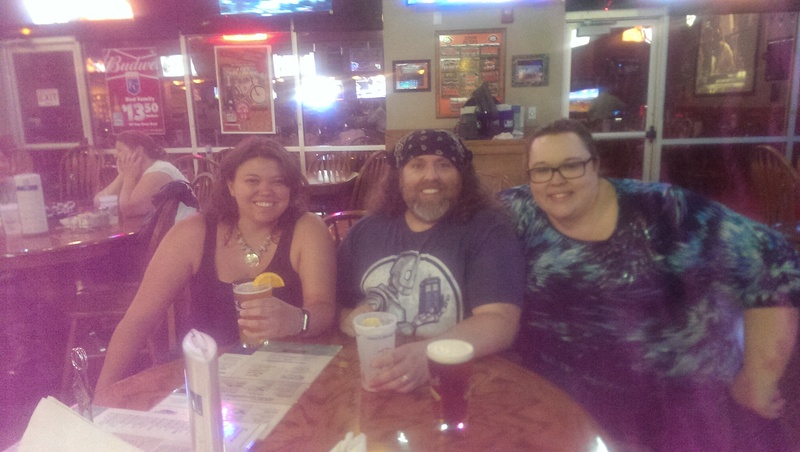 A road trip to Kansas City culminated in a first-ever meeting of all the minds behind Local Hero Press as Ian Thomas Healy, Allison M. Dickson, and Alicia Howie all found themselves in the same place at the same time and enjoyed a beverage or six together. We introduced the Local Hero Press Dark imprint for our Mature Readers titles, and to that end acquired two novels from Allison M. Dickson: Strings, and its as-yet-unreleased sequel, Moon Gone Dark. Watch for these coming in 2017! We are exploring translation options, with Just Cause now available in Spanish and a Portuguese translation on the way. And finally, we have entered the Age of the Audiobook with Just Cause as our first release and many more to come. We have a lot to look forward to in 2017, but that’s a post for another time. For now, we’re going to sit back on our laurels–at least briefly–and relax. Have a happy and safe new year from all of us at Local Hero Press! I really enjoyed watching Marvel’s recent release of Doctor Strange to the movie world, and it got me thinking about other things I’ve read or watched regarding the treatment of magic or magical powers in the superhero world. I remember discussing with my husband as we were waiting to see the movie how Dr. Strange’s powers evolved over the years from just being a guy who flew around and shot rays out of his hands to someone who had responsibilities to safeguard our dimension, with layered and more interesting capabilities to boot. If you’re interested in creating characters who use magic in your work, I’ve found there are several considerations to make in order to come up with a realistic and understandable foundation that is likely to make your character and their powers more believable to readers. First, magic is a system, and like any system, it must have rules. The rules might not always be easy to understand by all, but they should be able to be learned and they should be in evidence when magic is used in your story. I’ve read some stories where magic is used more like the old concept of deus ex machina, where anything can suddenly happen for no reason to pull your character(s) our of the drink, which is just sort of sloppy, in my opinion, and will generally cause your readers to feel cheated. Obviously, the things that are possible in a world where magic exists will be different, but it should follow its rules in the same way that, physically, you would expect to have a pen fall to the floor when you drop it, or in cooking, when you follow the recipe to the letter, you expect to get that chocolate cake you wanted. Also, you should give some thought to how a character can acquire magical powers. In some stories, the characters have to be born to it, which is a possibility, but to me it seems like a bit of lazy hand-waving, not too different from what I discussed in the last paragraph, so I advise you give it more thought. Can you learn through years of study in a hard to access library of one-of-a-kind books? Or did your character have a near-death experience and was brought back from the brink by a god or spirit who’s now interested in teaching them some magic? Did they live amidst a hidden or now wiped out culture who had traditions that they taught the character? In a way, this makes the idea more palatable to those used to the superhero tradition, since this is your character’s origin story. Another thing you should probably think about is what powers the magic your character can do? Is it the arcane power that runs through the ley lines that criss-cross the earth in ancient tales that they tap into, or does your character use the power of nature to make things happen? Do they channel the elements to do their magic, or maybe they summon demons to do their bidding? Along with the rules we talked about earlier, this is another important element for the sake of believability, the idea that something can’t come from nothing. Last, you should also consider what limitations there might be on your character. These fall directly in line with a lot of superhero stories where a hero has some sort of drawback. In the case of magic, I think it’s along the same lines as the rules we covered earlier, but sort of what happens at the extreme end. For example, if your character is an elemental mage who focuses on the use of water, what happens to her if she suddenly wakes up in the desert? Can she work any magic, or does she just have to hope her cell phone is charged and has service? Another example could be doing an extreme spell – yes, you might be able to manage the spell where you make the entire city forget about the ten story tentacled entity you summoned up, but if you survive it, you may be in a coma for the next year. At any rate, I think that considering these things if you are thinking of adding magical characters as superheroes will enhance the understandability and believability of your story. Are there any other things you can think of that I forgot to mention? If so, please comment below and let us all know what you think.